Much to our dismay, tech problems occur far too often now than they did in the past perhaps because even cybercriminals themselves realize how much potential there is to wreak havoc among the public and take advantage of those who are clueless about technology. Malware is a common problem reported by tech users; especially by Windows users as Apple devices are less vulnerable to these modern-day bugs, or so we thought. In reality, Apple gadgets are just as vulnerable as that of its competitors it’s just that not many hackers take the time to develop bugs for it because only a few are Apple users as these gadgets are often pricey and not accessible to the general public. This sort of malware works by changing DNS server settings on affected computers, thus routing traffic through malicious servers and logging sensitive data in the process. This new version is being referred to as OSX/MaMi. News of this malware first appeared on the Malwarebytes forum, prompting ex-NSA hacker Patrick Wardle to do a deep dive into it. Wardle found that the malware is indeed a DNS Hijacker, but actually goes further and installs a new root certificate to hijack encrypted communication. Despite having relatively few users, there is still a market that can be exploited and it is something that criminals have realized over the years, which is why you are hearing more Apple bugs these days than in the past. This malware is set to affect as many if not more than the number of PCs affected by Trojan back in 2011 that has reached up to four million. The numbers will definitely go higher now as there are computer users today, even Mac ones than it did six years ago. And since the attack is fairly new, even the experts aren’t that well-versed yet about it, so much to our misfortune. Apple’s macOS users can check if their machines are affected by the malware by launching System Preferences and heading into the Network menu. Under Advanced, users can toggle over to the DNS menu and need to keep an eye on 82.163.143.135 and 82.163.142.137 DNS addresses. Also check for malicious ‘cloudguard.me’ certificate, which will appear in the System Keychain, if installed. Since malwares are capable of installing other malware and allowing remote attacker access to the system, Wardle suggests fully reinstalling macOS on machines affected with this malware. Wardle also plans to release a free open-source firewall for macOS called Lulu that will prevent the OSX/MaMi malware from stealing user data. No one is really safe these days whatever device you are using because sooner or later, the hackers will find a way to get through your defenses and steal your valuable data or do something similarly sneaky because someone clueless enough will eventually fall prey to these scams. A lot of Apple users are complaining right now about various bugs affecting iOS devices and they are increasingly becoming aware that owning an Apple device isn’t an assurance that they will be free from the hassles and headache of malware, hard drive failure, data loss, etc. While not common, Mac data recovery exists. 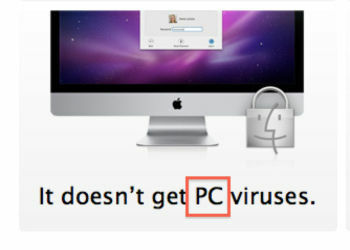 Apple PC users should be familiar with https://www.harddriverecovery.org/mac-data-recovery/ in the unfortunate case that their device gets infected by a nasty bug. At the rate that cybercrimes are happening lately, both Mac and Window PCs are at risk. Data recovery services become more in-demand. Anyone who is using a computer these days should know about these services https://www.harddriverecovery.org/hard-drive-recovery-service.html so they don’t get ripped off because even these companies can also scam you of your hard-earned money.